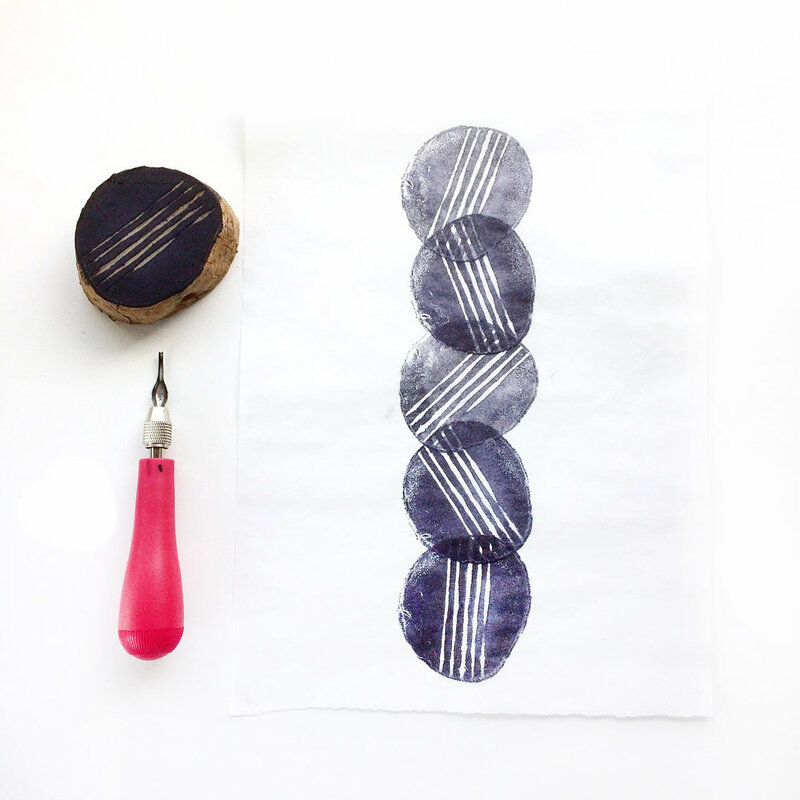 In this workshop we will create interesting prints using ink, different foods and kitchen objects including potatoes, limes, forks, and mushrooms. You will learn how to create repeating patterns and cool abstract designs on paper and fabric, including specialty papers and a tea towel and tote bag. You will never look at food the same way again! Open to anyone 16 years old and up!